Pregnancy and parenting require us to eat differently. These time periods can challenge the way we are used to eating and how we think about food. Does food and eating feel overwhelming? Do you mentally count calories to keep yourself in-check throughout the day? Do you try the next best diet every other month? Do you constantly think about losing the last 5-10 pounds? Do you want to change the way you think about food? Do you want eating to feel less stressful and more simple? For you and your family? 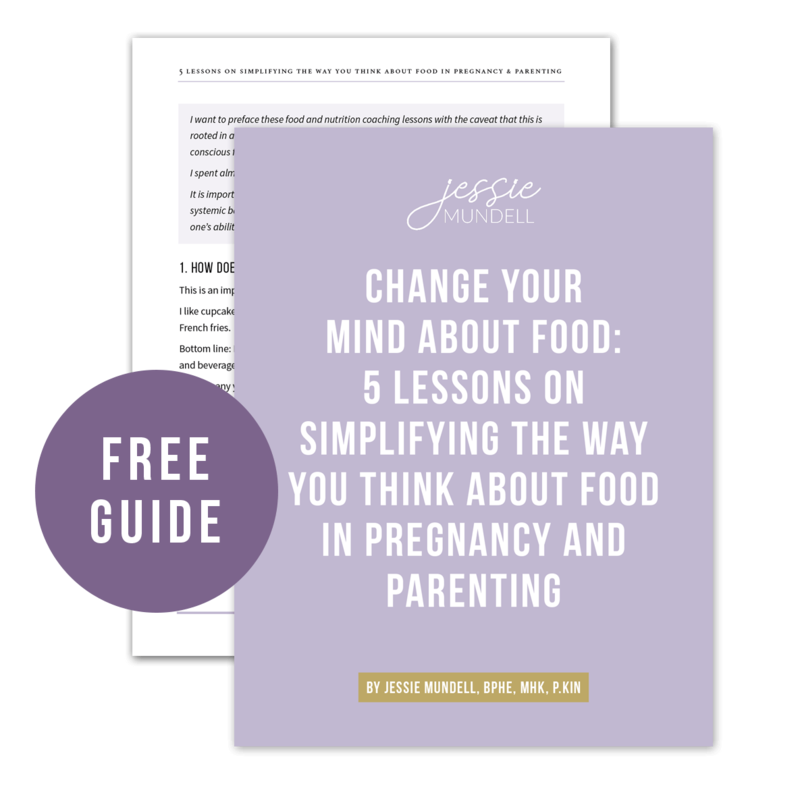 5 Lessons on Simplifying the Way You Think About Food in Pregnancy and Parenting! Start approaching food with more ease. Become less obsessed with food. Eat in a way that feels easy.